In other words, the ordinance creates two classes of shoppers regarding paper bag fees, non-exempt and exempt: Non-exempt shoppers, pay a fee for each paper bag received; Exempt shoppers, receive paper bags free of charge. The retail store recovers the cost of paper bags through the fees paid by non-exempt customers and indirectly through higher retail prices paid by all customers. The bag ban ordinance, in effect, creates a new benefit for exempt customers largely at the expense of non-exempt customers who are not eligible for the benefit they help pay for. In other words, the ordinance indirectly redistributes wealth from one class of shoppers to another, thereby creating a new benefit for WIC and SNAP participants. Since the stated purpose of the ordinance is to ban plastic carry out bags, discourage the use of paper carry out bags, and to promote the use of reusable bags, it would seem that there should be no exemptions at all to the paper bag fee and that the ordinance should be equally applied to all shoppers. The exemption, furthermore, sets a bad precedent. “Exempt” shoppers will not necessarily be motivated to use reusable bags because free paper bags will always be provided. And if they do use reusable bags, they never have to be concerned if they left their bags at home or in the car because free paper bags will always be provided. The non-exempt shopper, on the other hand, is not so fortunate, he has to go back to his car or go home and get the forgotten bags or cough up a dime for each paper bag issued. Creating a new benefit for WIC and SNAP participants by the local jurisdiction is not only unfair to non-exempt shoppers, who help pay for that benefit, but also to the low income shopper who is self-sufficient and does not participate in WIC or SNAP. The only reason that city and county officials include the paper bag fee exemption is to deflect public criticism that they are hurting the poor. These officials, by their actions, are admitting that the bag ban is a time consuming financial burden on ALL families, yet somehow they want to exclude one class of citizens from this burden for political reasons. 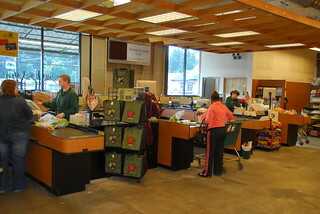 What is ironic is that non-exempt shoppers, who generally earn more and whose time is more highly valued from an hourly wage perspective, not only end up paying for the benefit of free paper bags offered to exempt shoppers, but are also saddled with the waste of time and inconvenience in having to manage reusable bags or using no bags at all while shopping. This is not only irrational, but also discriminatory and exposes yet another flaw in senseless nanny state bag ban laws. Meyer: Plastic bag bans and fees work. So what’s the holdup in Denver? If logic was the method used by government, there would be no exemptions or bans.